Superior Replacement Windows in Mesa, AZ specializes in home window repair and replacement and is a general contractor licensed in Arizona. Our team is also experienced and capable of handling small and large commercial glass jobs including storefront glass and glass entry door repair. We make custom windows and cut glass right here in Arizona, dramatically reducing the time it takes to replace a broken window. Our professional window installers measure the glass dimensions carefully and have a new insulated glass unit fabricated. This also makes the installation process smooth and allows us to secure your property within the same day the broken window is removed. 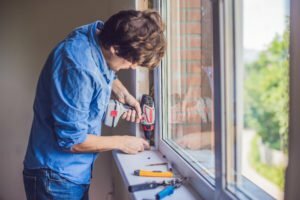 If your window replacement is an emergency, our installation service can have your home or building secured within a few hours. Since windows play a vital part in the insulation of your home or commercial building, Superior Replacement Windows sources only the finest windows, fittings and fixtures by Glaz Tech and CR Lawrence. We supply dual pane, triple pane, insulated glass units to lower your energy bills and provide a level of sound reduction for your property. These premium windows come in a full range of range of styles, designs and colors to match any existing windows or meet your style and taste requirements for replacement windows. Our windows will instantly improve the appearance and value of your home. All of our window technicians and glaziers are trained and certified to the highest standards. Our company was built on referrals and reviews from happy customers and we strive to make every customer satisfied and guarantee our work. We will treat your home or office with respect and always clean up our job site. We use best practices for shielding the work area to keep dust and debris from entering the living space. We challenge you to challenge us. If we don’t have a solution, we’ve been in the business long enough to point you in the right direction. Consider Superior Replacement Windows your local window and glass experts in Mesa. No glass-related job is too big or too small for us. Whether you are an individual that just needs a small window replaced, or you are a large commercial property management company that needs to update the windows of an entire office complex, our experience and resources are equipped to handle the project. Contact Superior Replacement Windows of Mesa, AZ for all your window repair and replacement needs. 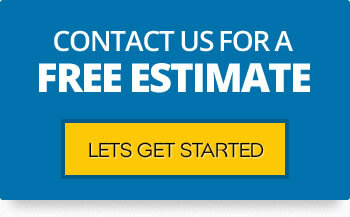 Schedule a free onsite inspection and free estimate of your glass repair or installation needs. The City of Mesa is situated in Maricopa County approximately 20 miles of Phoenix. Some of the areas adjacent to the metropolis include Tempe, Apache Junction, Chandler, the Salt River Pima-Maricopa Indian Community, Queen Creek and Gilbert. Mesa is the 38th largest metropolis in America and its origins can be traced back at least 2,000 years. The Hohokam people were the first inhabitants and they built a complex, vast network of canals. This helped deliver water to an area measuring hundreds of thousands acres, thus transforming the Sonoran Desert into an agricultural oasis. The Hohokam later disappeared but settlers only started arriving in the area by the late 19th century. The city was formally registered as a town in July, 1978 and the first school was built one year later. The area was officially was incorporated in 1883. Today, Mesa City has a population of about 430,000. It boasts a number of distinguished educational institutions, including the Polytechnic campus of Arizona State University. Mesa Community College enrolls up to 24,000 students who study either part- of full-time. The city is home to a wide variety of cultural attractions like the Arizona Museum of Natural History, Sloan Park, Mesa Amphitheatre, Golfland Sunsplash Waterpark, Mesa Grande Ruins and more. When it comes to sport, Mesa, AZ offers several championship golf courses. Some of the facilities like the Mesa Country Club were established in the late 1940s. The most popular golf course in the city is the Country Club Drive. The city has a team that participates in Special Olympics Arizona. Some of the sporting disciplines covered include track and field, swimming, gold, kayaking, bowling and basketball. On the other hand, the metropolis also hosts eye-catching historic properties. These include Sirrine House (built in 1896), Angulo-Hostetter House (1902), Alhambra Hotel (1893), Dr. Lucius Charles Aston House (1920) and more. These homes create opportunities for window remodeling and vintage glass projects that only Superior Replacement Windows has the expertise to manage.